IEEE GHTC not just brings humanitarian and engineering talent together, we also recognize the great ones. In additional to the photo and video contests like last year, we have something new in 2013. Rebecca Dracup and Andrew Perren are two engineering students at the University of Western Australia. In mid-2012, five years into their degrees, they realised it was very difficult to find stories of success about engineering and engineers in the humanitarian and development sectors. Both wanted role models and exemplary engineering projects to help give them something to aim for. So they’ve created the Global Humanitarian Engineering Awards (GHEA) with the help of the IEEE Global Humanitarian Technology Conference and Engineers Without Borders Australia. “We opened nominations on May 1st 2013 and are hoping to attract nominations from every corner of the world”, Andrew said. Nominations are now open, and close on June 2nd 2013. 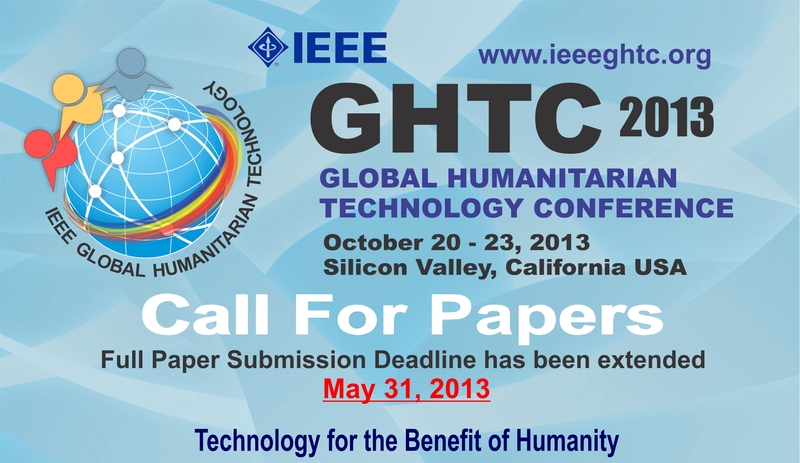 To nominate or find out more about GHEA 2013 visit http://www.ieeeghtc.org/global-humanitarian-engineering-award/. If you think 2013 is the time for you to make a positive change to the world, come join us to make the world a better place enabled by the relevant knowledge, skills, and technology.